Allbirds managed to revolutionize wool (even after thousands of years) and now, they’re somehow doing it again. But this time, with trees. The San Francisco-based shoe brand has introduced their not-so-cleverly named new line, Tree. The line features one of their two staple styles, the Runner, but adds a new boat shoe-style sneaker called the Skipper. Made from fiber of the eucalyptus tree. Yeah, they’re made from ground up trees. Don’t ask me how. Like their predecessors, the Tree styles are moisture-wicking and can be worn sockless, if you’re so inclined. And, they’re somehow even more sustainable than the original Merino wool styles. 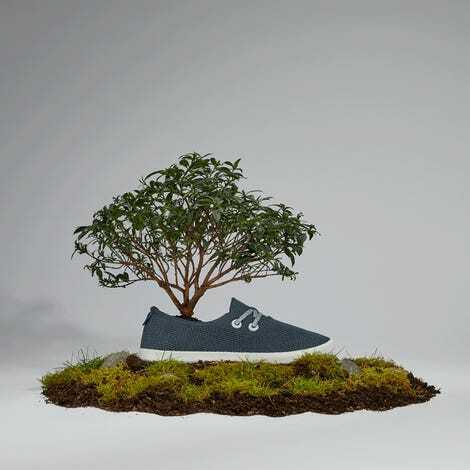 According to the brand’s press release, the Tree line uses “only 5% of the water and one-third of the land compared to traditional footwear materials”. The Tree line retails for the same price as the original Merino Wool, with new limited edition colors: Kauri Navy, Kauri Cloud, Kauri Rose, and Kauri Stone.